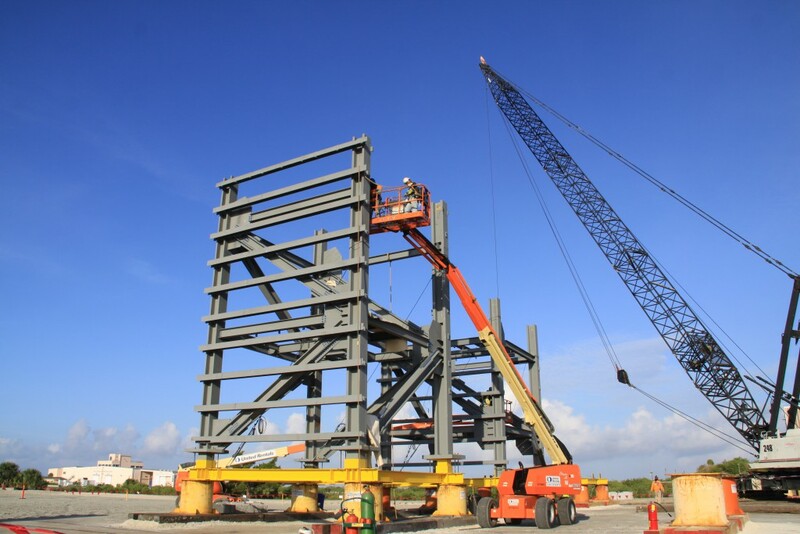 Workers are deep into construction of the first two tiers of the new crew access tower for Space Launch Complex 41 at Cape Canaveral Air Force Station in Florida. 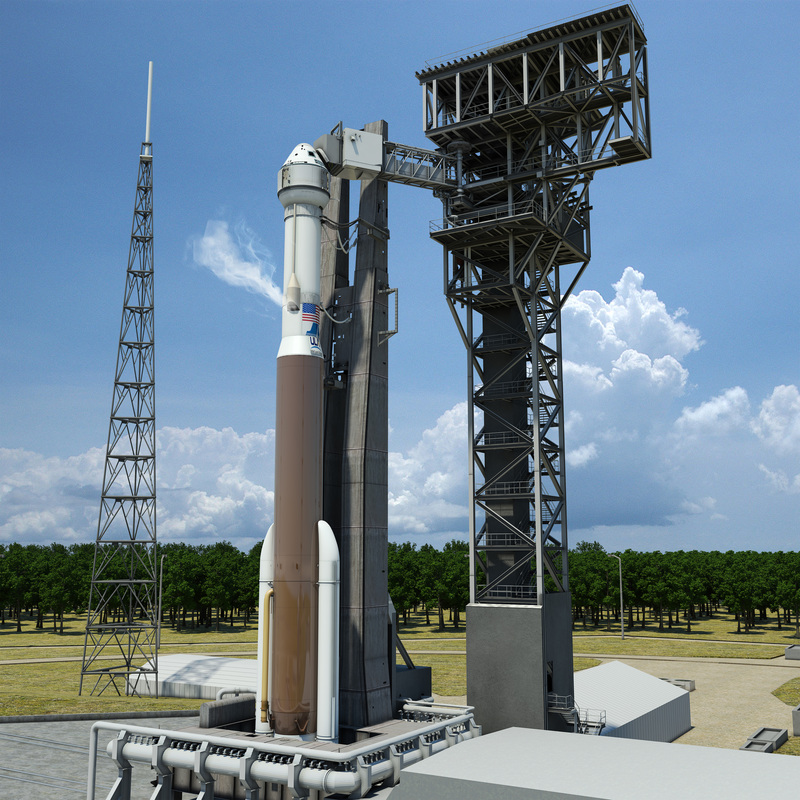 Boeing and United Launch Alliance are building the tower so astronauts and ground support teams can access the CST-100 spacecraft for missions to the International Space Station. Offsite construction of the tiers was essential to be able to sustain the launch schedule of the Atlas V rocket – which will carry the CST-100 – and still provide a human-rated service structure NASA needs for its Commercial Crew flights. The first two structures will be outfitted with nearly everything they will need at the launch pad except wiring and the elevator shafts before they are stacked and trucked over to the launch pad. It will take seven tiers to complete the 200-foot-tall structure. While the tiers are assembled a few miles away, workers at SLC-41 are preparing the foundation of the structure. Pile drivers, cement trucks and other heavy equipment are establishing a firm support base for the tower. What is the final tower supposed to look like? Do you have a CAD rendering? Maybe if you practiced doing everything the correct way our people would be at less risk. The first sentence in the second paragraph is currently contradictory and the contradiction is reinforced by the third sentence. Upon further inspection, I am guessing this might be at the former site of the Titan ITL (Integrate Transfer Launch Complex) Complex’s VAB that fed Titans to SLC-40, SLC-41 and the unfinished SLC-42.